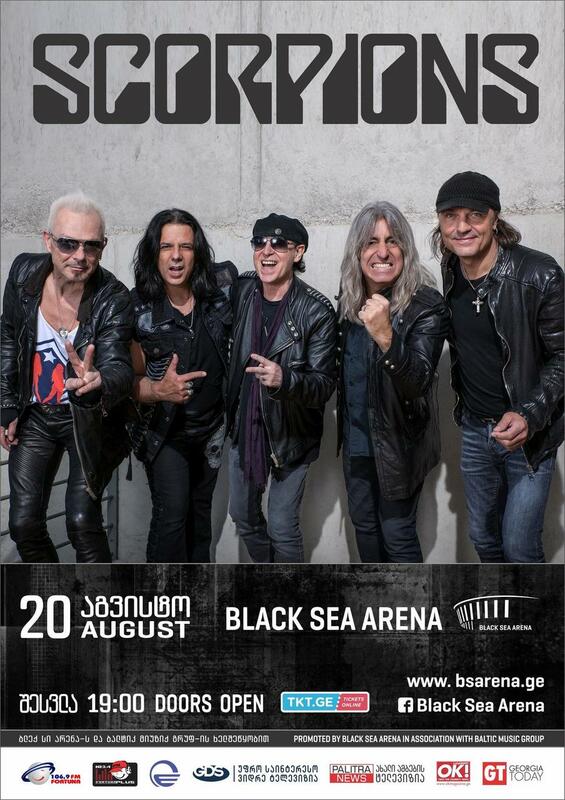 One of the most successful rock music bands - Scorpions, is putting on its 50th anniversary show on 20th August at Black Sea Arena. The big favourite with many generations is to perform all of its biggest hits. Scorpions the symbol of rock music is still one of the most influential and vivacious bands. “Wind of Change”, “Still Loving You” and tens of other hits are one of the most loved songs in the world from lyrical rock genre. Band will be arriving to Georgia by private jet and large part of the show’s production will be brought separately by transportation plane from Germany. On this tour the former drummer Mikkey Dee from Motorhead will be replacing Scorpions’ drummer James Kottak due to some health problems. Scorpions got famous in mid 1970s when the hard-core rock group put its bets on more melodic rock music. Band that has sold over 100 million albums, was whisked to stardom with its album “Crazy World” in 1990 that also contains their most famous song “Wind of Change”. Latter became the hymn of freedom, a symbol of the collapse of Berlin Wall and totalitarian system. Scorpions has released 18 studio albums and has performed in over 20 world tours during its 50 years. The band creator, leader and lead singer Klaus Meine is one of the most known faces in rock music and his style is one of the most recognizable in the music world. Scorpions will be performing at Black Sea Arena on 20th August on its world tour “Return to Forever” celebrating its 50th year on stage. Black Sea Arena is a brand new super modern arena with the capacity of 9000 visitors in Shekvetili by the Black Sea. Tickets on sale at www.tkt.ge .